Fence Builders installs both residential and commercial fencing in South Florida. 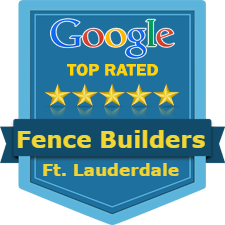 You could say we are one of the best fence companies in Broward County. We offer free estimate for all properties and we always put our customers first. Call us today and speck with one of our expert fence contractors to get started.